Thank you for contacting us to apply for an organization, cause or event sponsorship! We have been a large supporter of charitable events all over the Birmingham area since 1989. Due to the nature of our business, we receive a very large number of requests for event sponsorship and unfortunately cannot always meet every request, but we will carefully review each one and consider our available resources to meet the needs of the community. Instructions: please read carefully and please complete a separate Sponsorship Request form for each sponsorship you are requesting. It is important to us to obtain the following information in order to determine if we are able to participate in your activity. Please complete this form and return to the Marketing and Business Development Department a minimum of six (6) weeks prior to your event and identify any print or advertising deadlines. We will await further supporting information to accompany this request. Please allow a response time of 14 days following the receipt of your completed forms. If you have any questions about completing this form please contact the Limbaugh Toyota Marketing & Business Development Department at (205) 780-0500. Thank you for your request! Support - Refers to utilizing Limbaugh Toyota as a collection/drop off point for donations and other such types of activities. I understand submitting this form is not an agreement, but a request for Limbaugh Toyota sponsorship. 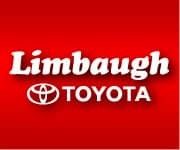 Should my request be approved, I agree to allow Limbaugh Toyota to publish photos, logos, and stories related to this sponsorship in their Internet and Intranet based communications and/or any other communication media.